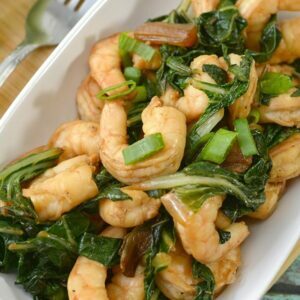 This keto asian glazed shrimp with bok choy is a MUST TRY!! 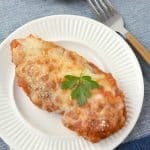 It’s perfect for weeknight dinners and it so filling. 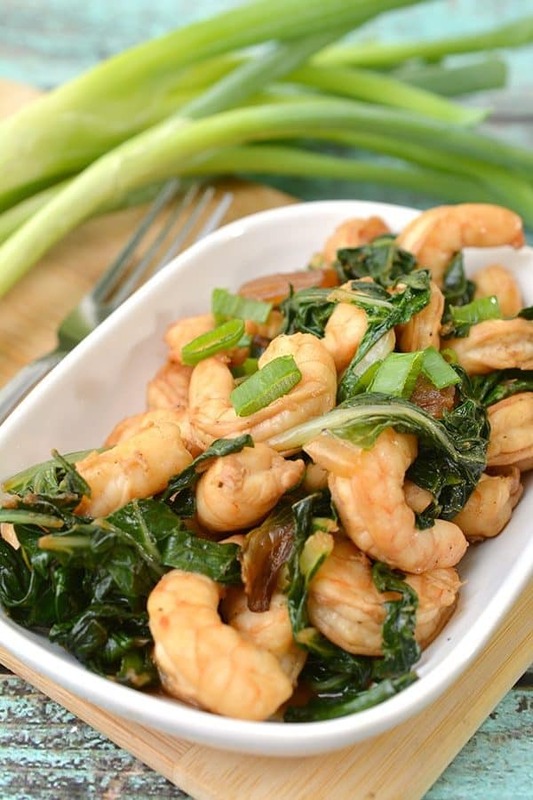 For all you who love a good shrimp bok coy recipe, this sauteed bok choy with shrimp is about to be your new favorite. 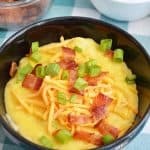 Served over cauliflower fried rice and this is easily dinner of the week! 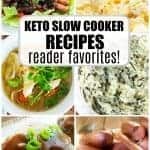 Just scroll down below for the recipe to make your own! 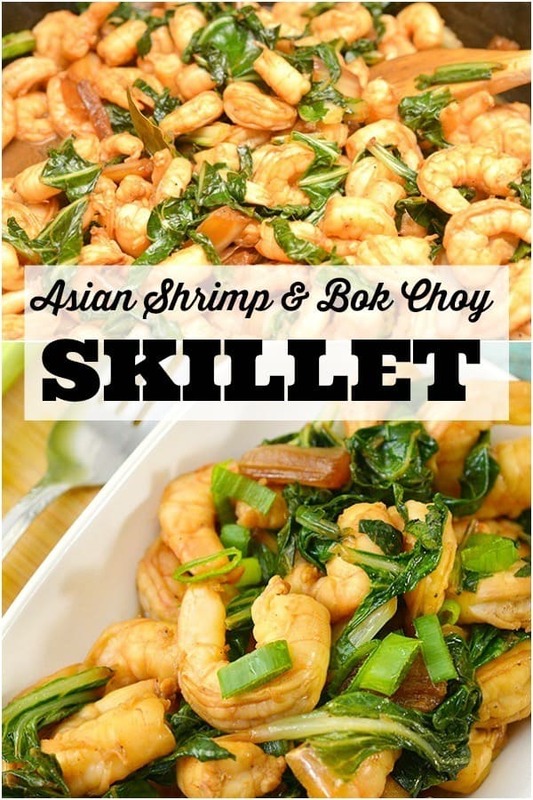 This shrimp bok coy recipe is perfect for entertaining guests – even if they aren’t on the keto diet. 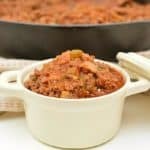 We love to prepare white rice and cauliflower rice for our friends when we have them over. 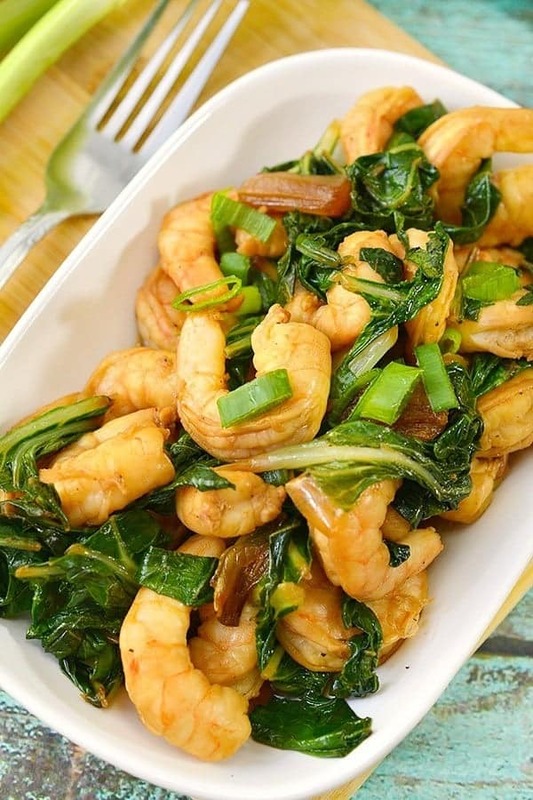 And boy, they love this sauteed bok choy with shrimp! They usually end up begging me for the recipe before the night is over lol! 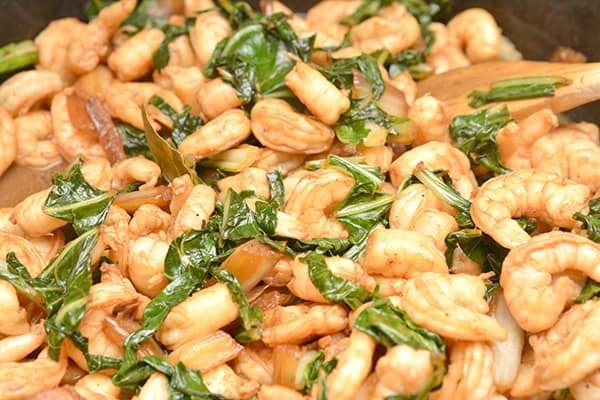 Just scroll down below for the full recipe to make some sauteed bok choy with shrimp! 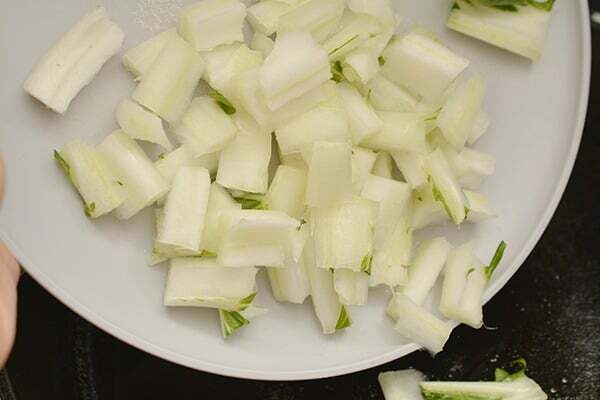 Before you get started, gather up all your ingredients to make it that much easier in the kitchen! 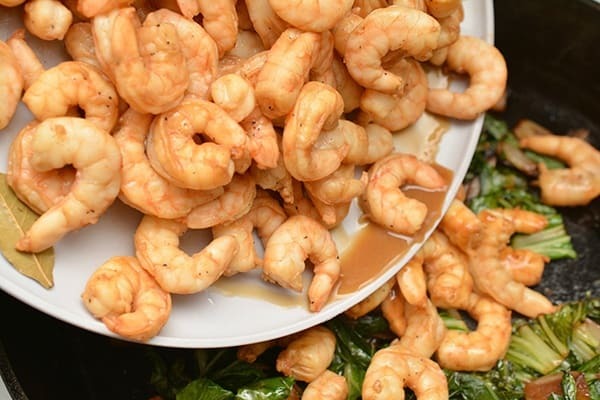 In a large bowl, combine shrimp and coconut aminos (or low carb soy sauce). Mix in lemon juice, bay leaves, and Worcestershire sauce. Toss to coat shrimp and combine ingredients. Then marinate in the fridge for 30 minutes. Heat sesame oil in a skillet over medium-high heat and then add in bok choy stems. Stir around to coat them in oil and then cook for 3-5 minutes, until tender. Mix in coconut aminos and then add bok choy leaves and saute until wilted. While cooking, heat 1 tablespoon of olive oil in a separate skillet and then add shrimp in a single layer. Cook for 2-3 minutes, stirring occasionally. Add the shrimp into bok choy and toss to combine. Pour the remaining marinade over the shrimp and bok choy, and saute for 1-2 more minutes. Optionally serve over cauliflower fried rice and enjoy! 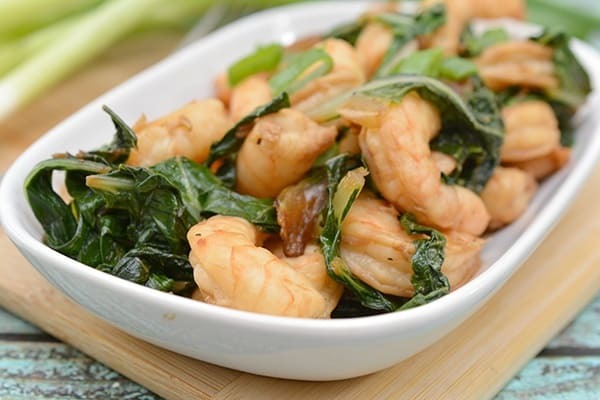 Keto Asian Glazed Shrimp with Bok Choy a simple, quick weeknight dinner for the whole family! 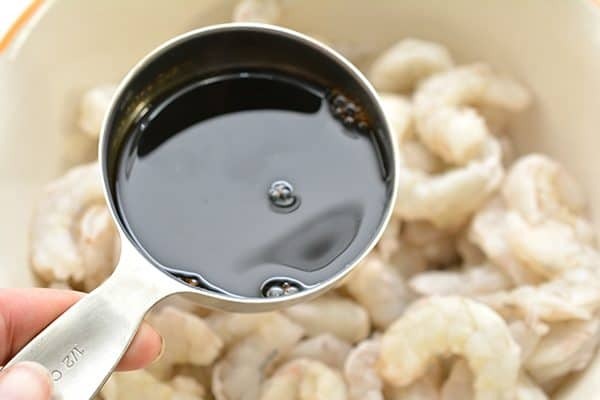 In a large bowl, combine shrimp and coconut aminos (or low carb soy sauce). Mix in lemon juice, bay leaves, and worcestershire sauce. Toss to coat shrimp and combine ingredients. Then marinate in the fridge for 30 minutes. Pour the remaining marinade over the shrimp and bok choy, and saute for 1-2 more minutes. Serve over cauliflower fried rice.